Your vehicle’s most important maintenance service is the oil change. Many drivers don’t treat it that way though. They understand that failing to change the oil will cause expensive and irreparable damage. However, they don’t follow an effective oil change schedule. Some will even wait until their dashboard alert comes on before receiving an oil change. 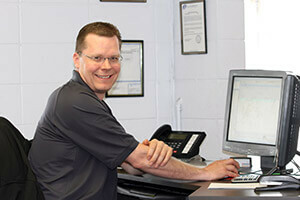 Silver Lake Auto & Tire Centers in Brookfield, WI wants you to know that there’s a better way to care for your vehicle. Protect the engine and enhance its overall performance by adhering to an appropriate oil change schedule. We’ll consider your vehicle’s age, your driving habits, and the manufacturer’s recommendations when designing an oil change schedule. This keeps your engine properly lubricated at all times, and keeps it free from contaminants. The oil filter changes must also happen on a consistent schedule. Your engine’s cleanliness is also important to its longevity and efficiency. Silver Lake Auto & Tire Centers has a team of service experts on staff, ready to put your vehicle on a path to peak performance. Get the most out of your engine by avoiding friction and overheating. Proper lubrication is what keeps your engine’s metal parts from colliding. It also prevents the engine from overworking and overheating. Silver Lake will take better care of your vehicle’s engine by providing top oil changes according to the right intervals. Depending on your driving habits and your vehicle’s driving purposes, you may have a shorter or longer service intervals. Let our team provide you with the most effective schedule. Timely oil changes will keep your vehicle on the road, in the fast lane, and saving you money at the pump. Your vehicle is supposed to remain reliable for as long as you need to drive it. Staying current with your oil changes iis the best way to keep it reliable. Many vehicles suffer from early breakdown and early retirement because owners fail to provide sufficient oil maintenance. If you plan on selling your vehicle, it will retain its resale value when you have strong and healthy engine performance. Choose the team at Silver Lake Auto & Tire Centers for your oil change services, and give your vehicle’s engine the attention it deserves. Time for another oil change? If you can’t remember when your last oil change was, chances are you’re overdue. Let our team keep you on the right path with the right oil change schedule. We also perform timely oil filter changes that will make sure your engine is free from harmful contaminants. Give us a call today at 262-804-9969 to schedule your next oil change service appointment. You can also save time by scheduling right now using our convenient online scheduling system.